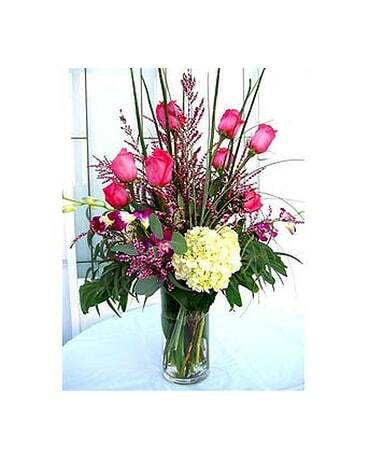 This nice arrangement consists of hot pink roses, orchids and hydrangeas in a tall cylinder glass vase. (Certain flowers & container may be varied & are subjected to availability. Our designers will substitute with something in order to keeping the best presentation).